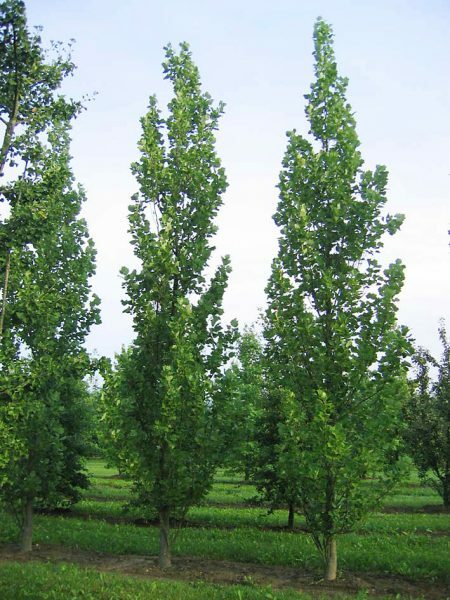 Liriodendron tulipifera Fastigiatum is an upright form of the Tulip tree which is perfect for planting where space is at a premium. This tree has large bright green, smooth lobed leaves that appear in the spring time, turning to golden yellow in the autumn time. This medium sized tree is a great choice for avenues where its regular, upright shape provides the desired uniform quality.